Christmas, New Year's and other holiday events throughout Orange County. **Due to possible changes to events, times & locations below, we encourage you to click on the link of the event holder to get the most updated information. Come together for a special breakfast with family and Santa and celebrate the holidays! Enjoy your favorite breakfast specialties along with crafts for kids and spiked hot cocoa and mimosas for the adults! Santa will be making a special appearance so make sure to bring your cameras, letters to Santa and your whole family! Early reservations are recommended as this event sells out quickly.st. Free event with real snow play area, Santa photos, crafts for kids, face painting, balloon artists and train rides. FREE event featuring holiday craft activities, a real snow play area, a children’s train ride, free photos with Santa and holiday musical performances by local schools and community groups throughout the day. Purchase unique gifts from the Holiday Shopping Village and enjoy a wide variety of culinary treasures from the International Food Fair. Santa Claus is Coming to Anaheim Plaza! Bring your camera for a selfie with Santa. This free event is for the whole family and will include giveaways for the first 100 kids, raffle prizes, a kid friendly DJ, face painting, plus a balloon artist! Rain or Shine - in the event of rain, we will do our best to ensure the event continues as scheduled. Please keep in mind this is an open, outdoor area with limited coverings. Be sure to bring umbrellas, rain coats, parkas, etc. as a precaution to protect yourself from the climate. N. Euclid St. & Santa Ana Fwy. FREE to the public. The boat parade will light up the harbor for five consecutive nights. The parade starts at Bay Island at 6:00 p.m. and will last approximately three and a half hours. Over 250 ships participate in the parade along with hundreds of water front estates. Providing the backdrop for the parade is the Ring of Lights waterfront home and business decorating competition. FREE for spectators, entry fee for participating boats. Over million and half people view the parade each year. For those of you that would like to be in parade Davey's Locker offers 3 general admission cruises nightly every night of the parade that are a part of the actual parade. Viewing the parade from a ship means that you see all of the parade and homes in full decor that line the waterfront. General admission tickets can be reserved over the phone. Get your holiday shopping done at our Nutcracker Craft Boutique! The Boutique features unique, hand crafted gifts from over 200 vendors. You will be able to find something for everyone on your shopping list. $2 admission with proceeds benefit the City of Brea's Youth and Family Programs. Light up the holiday at the City of Brea's annual tree lighting celebration. Live music and entertainment will put everyone in the holiday mood. Watch the holiday tree light up the evening and see children's eyes sparkle when Santa drops in for a visit. Cookies and hot chocolate will be served. A community holiday carnival that includes food and game booths sponsored by local non-profit groups, entertainment, games, petting zoo, a craft area for kids, pictures with Santa Claus, and their famous snow slides! The Annual Corona del Mar Christmas Walk & Festival is one of the oldest special events the Chamber is proud to present. 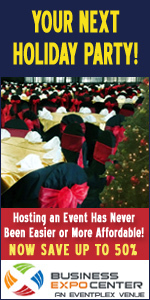 It is absolutely a can't miss event filled with holiday festivities for family, friends and associates. Each year the Walk brings together thousands of fun-loving people into the Village of Corona del Mar for entertainment, food, prizes and games in true holiday spirit. FREE to the public. Complete with High School bands, Fireman's BBQ, live entertainment, restaurant tastings, beer & wine garden, bouncy houses, Santa Visits and a grand opportunity drawing full of local prizes. The merchants of Corona del Mar invite you to visit the village and their individual businesses on this spectacular day! Annual event featuring more lights than ever including an expanded light tunnel, RGB Triklet programmable lights, light orbs and light tubes. In the Central Garden a live-cut 20' Christmas tree will feature "natural bling" and is best described as a modern style with natural elements. There will also be a light show in the Tropical Conservatory, a flurry of fun will await visitors in the Big Shade Garden plus a red sparkle ceiling will dazzle in the Fern Grotto. Nineteenth-century London comes to life when your family joins the SCR family for the holidays. Recapture the spirit of an old-fashioned Christmas with this timeless Dickens classic and all your favorite characters—Tiny Tim and the Cratchit family, the Fezziwigs, the Ghosts of Christmas past, present and yet-to-come—and, as always, Hal Landon Jr. as everyone's favorite curmudgeon, Ebenezer Scrooge. (“The quintessential Ebenezer Scrooge!” according to the Daily Pilot). It's hard to image a holiday season without "Messiah," the most famous oratorio in the world. Through some of the most beautiful music ever written, "Messiah" conveys a message of hope to everyone who hears it, year after year after year. Thrill to blazing trumpets, thundering timpani and the electrifying, uplifting "Hallelujah" chorus. Join the folks at Ikea Costa Mesa in December for their annual Swedish Christmas Julbord! Celebrate National Gingerbread House Day! This event will be filled with family fun! 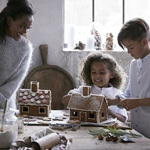 Create togetherness and build a gingerbread house as a family. Price includes one gingerbread house per family with icing and toppings. You will get to enjoy our exclusive hot cocoa bar, refreshments, and light snacks perfect for the holiday season. 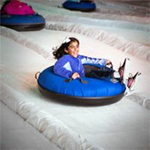 Featuring ice tubing down an 8 lane, 150 foot mountain, massive snow play and slide area with separate areas for toddlers and kids with fresh snow blown in daily, ice skating on SoCal’s largest outdoor ice rink under the stars in the middle of Winter Fest OC, nightly Christmas tree lighting celebration with a parade of the Winter Fest OC characters. There's also fireworks and snow flurries, plus a not to be missed experience with Santa and his reindeer flying over the fairgrounds through Christmas Eve, an all new Alpine Village with a new light maze and new wintery attractions, over 20 carnival rides and attractions, festive entertainment, seasonal eateries, visits with Santa and so much more. Mrs. Claus Sweet Shoppe - Woman's Club of Cypress. Purchase a sweet treat while you stroll the craft show. Breakfast with Santa - 8:00 - 11:00am $5 per person. Proceeds benefit Boy Scout Troop 660. Santa will be visiting from the North Pole for photos so don't forget your camera! Festival Style Seating Blankets & Lawn Chairs Encouraged. Event includes School Performances, Visits with Santa, Holiday Crafts, Letters to Santa and Train Rides. There will be a $6 meal to purchase whick will include tacos or quesadillas, chips, salsa & drink. Proceeds benefit Youth Action Committee. FREE holiday family event sponsored by the City of Dana Point. Includes Santa visits, carnival games ($1), craft fair, Dana Point Police Services Kid Print ID, face painting, cookie decorating ($2), holiday crafts, Lego Santa's Village Workshop, the Mini Express Train, petting zoo, pony rides and the Annual Tree Lighting! Most activities are free. Come aboard for a twenty-minute Harbor cruise with Santa and his helpers. Santa will be hearing those Christmas wishes as you cruise the Harbor. Bring your cameras for pictures with Santa. A $5 donation to the El Camino Real Junior Woman’s Club is suggested. 34675 Golden Lantern - between the Jolly Roger and the Wind & Sea. Boaters from all around Orange County decorate their boats and vie for awards. You can view the parade free from anywhere in the Harbor, or make reservations at one of our restaurants to view it from a cozy and warm spot. Come on down and enjoy the sights and sounds of the season. Enjoy this holiday extravaganza throughout the harbor each night of the Boat Parade that features carolers, superheroes, games, crafts, and FREE photos with Santa, and culminates with the Boat Parade. Call and make your reservations at (949) 496-5794. Santa will be taking a break from checking his list twice to take pictures with your family. Enjoy breakfast, movies, and arts & crafts at Vue Restaurant. A special holiday menu will be available with small plates, salads, entrees, sandwiches and holiday specials such as Rack of Australian Lamb and Mascarpone Creamed Polenta. Christmas Eve Dinner at Vue Restaurant. New Year’s Eve Dinner Enjoy a special holiday menu at Vue Restaurant. Reservations required. Must be 21 or older to consume alcoholic beverages. Free event, all are welcome! This special holiday event will feature guests from the North Pole as well as performances by various community groups, delicious food available for purchase from local non-profit organizations, games, a spectacular fireworks show, and much more! Come enjoy the entertainment, take free pictures with Santa (from 12-4), grab a bite to eat, do some holiday shopping and visit the beer and wine garden. For the kids there will be face painting and a bounce house. "Spark of Love" toy drive with Fullerton Firefighters will also be there for those who wish to donate. Free event. Parking may be found in any of the free downtown lots or in the parking structures at Wilshire (enter from Harbor); Lemon Street and Chapman Avenue;and in the Transportation Center on Pomona and Santa Fe Avenue. The Muckenthaler’s annual Holiday Festival features various activities, including live stage performances and an arts and crafts fair. Plus, delicious food vendors and exclusive craft beer selections! The family-friendly event also provides free art workshops for kids, a children’s play area, and a special appearance by Santa Claus. There is no admission fee for this outdoor event. Bring in the New Year 2019 with hundreds of singles as you meet new friends during popular mixer games. Both Singles & Couples welcome! This year's party features "DANCING THROUGH THE ERAS" with a variety of good dance music by Live Band: Marvin" SweetwaterBass"Banks & TYGHTSHIP plus popular DJ Larry. Starting this year, the best of Winterfest and Christmas Tree Lighting holiday celebrations are coming together into one exciting new event - Winter in the Grove! Enjoy free seasonal refreshments, children's activities, a visit by Santa and Mrs. Claus, and an unforgettable tree lighting ceremony. Unlimited snow slide rides are $5. Food will be available for purchase. Corner of Euclid and Main. King of Kings Christmas for Kidsprovides both a fun morning for the children and a mini-break for the parents. We will offer games, crafts, singing, and the Christmas story of Jesus' birth in a quick fun filled atmosphere. The end of the morning will conclude with a family lunch so that you and your children may all leave fed and ready for the afternoon’s activities. All of this is FREE to you! Come and enjoy an afternoon of fun and fantasy as The Nutcracker comes to life at the Ballet Etudes Sugar Plum Fairy Tea. This is an event that all generations will enjoy with delicious food, treats, characters in costume, live performances, Nutcracker boutique, crafts and games and more. Plus a huge raffle with fabulous prizes. Ballet Etudes is Huntington Academy of Dance's resident non-profit youth ballet company. Our mission is to expose a new generation of children, both performers and audience members to the beauty, grace, and athleticism of ballet; and to offer this experience at affordable prices. Click to find information on how to download a flyer and order tickets. The Swedish Womens Education Association of Orange County (SWEA) will hold their annual Christmas Fair at Old World, Huntington Beach, right before the Thanksgiving Day Holiday. This will be the 6th year the SWEA Christmas Fair comes to Old World. The SWEA Christmas Fair, takes full advantage of the large Old world Festival Hall and spacious outside patio and beer garden to accommodate the large number of vendors and the 1,000+ people that attend the event. It's the most wonderful time of the year when HB Downtown fills the 2nd block of Main Street with entertainment, holiday craft vendors, kid's activities, and refreshments. A special tree lighting ceremony with entertainment will be held on Sunday, November 18. The event includes a Holiday Boutique, Kid's activities, cocoa and cookies, Grinch, Santa and the tree lighting. Photo opportunities with Santa and Grinch follow the tree lighting. The Nutcracker Ballet presented by Ballet Etudes, a non-profit youth ballet company. Free parking and wheelchair accessible. Take a narrated cruise through the waterways of Huntington Harbour to see the holiday lighted homes and decorations in this annual event. Park in the Huntington Harbour Mall lot (corner of Algonquin and Saybrook) and get on the designated buses that travel a short distance to the boat launch area. Show starts at 6pm and ends at 8pm. Each year Old World Village plays host to the International Celebration of Christmas, a celebration that brings together a diverse group of churches, singers, dancers for a celebration that highlights the true meaning of the holiday season. FREE Admission. Celebrate the season as “snow” falls over the Irvine Civic Center and the community gathers for games, crafts, entertainment, food and a tree-lighting ceremony. 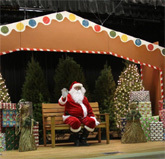 This event includes a Joyful Jingles program and a visit from Santa Claus. Guests are encouraged to bring a new, unwrapped gift suitable for infants or children up to age 12. Toy donations aid the Irvine 2/11 Marine Adoption Committee Holiday Drive, which benefits the families of Irvine’s adopted 2/11 Marine Battalion. Admission is free; registration is not required. 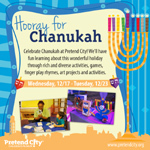 Celebrate Chanukah at Pretend City. Your child will love these rich and diverse activities about the Hanukkah miracle and the importance of many of the traditions of the holiday. We’ll have fun learning about this wonderful holiday through games, finger play rhymes, art projects and activities. Drop-in anytime between 2 pm and 4 pm for the kids to build a holiday story with our Muse staff. We have several holiday story themes to choose from - Christmas, Hanukkah, Santa, Snowman, Ice Princess, Elves and more! Families will also enjoy arts & crafts, along with complimentary cocoa and cookies. 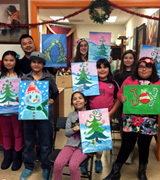 An enriching and memorable holiday event, perfect for kids ages 3-10. 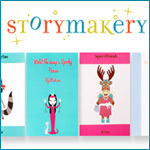 Storybooks make perfect gifts for friends and family! Add a dedication for a unique gift. $35 per child includes soft cover storybook. This fun event will give Orange County families the opportunity to make a homeless animal part of their loving family - just in time for the holidays! This event will bring about 600 homeless dogs, cats, rabbits and small animals for adoption. The annual event also features dozens of pet-related vendors, gourmet food trucks, a silent auction, low-cost microchipping and an opportunity drawing. Each animal available for adoption is spayed or neutered, microchipped and evaluated by a veterinarian. Cats and dogs are vaccinated appropriate to age. Suggested donation for the event is $2 per person or $5 per family. and parking is free. It’s time to begin the 12 days of Christmas Countdown! The days that lead up to Christmas are an exciting and magical time for young children. Join us each day as we “unwrap” a new activity that celebrates the season. It’s time to celebrate Las Posadas! This colorful Mexican holiday celebrates the 9 days leading up to Christmas! 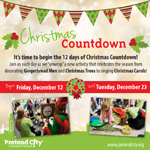 Join us for some festive activities, art, and events at Pretend City! Kwanzaa is here, and there are so many fun things to do! Join us each day during the Festival of Kwanzaa to “light” a candle on the Kinara. Every day, we’ll celebrate a new Kwanzaa principle through a variety of activities including making gifts for family and friends, playing Kwanzaa games and storytime. These daily activities are a perfect way to begin teaching your children about the meaning and traditions of this joyous holiday. OC New Years Eve Party “when it just has to be First Class"
Party Only $110 per person! One of OC’s biggest and best bargains is the Lemondrop Hilton New Years Eve Party & Dance held at the Hilton Irvine Hotel across from John Wayne Airport. Entertainment this year includes The Vertikals plus DJ John (Formerly with Turtles & Beach Boys). The Best Food & Most Food of any NYE in OC 3 Entrees: Have One or All Three. Free Midnight Champagne Toast Plus $10 corkage on 750 ml Bottle. Join us as we celebrate New Year's Eve in the best way possible, by combining decadent bites, unexpected entertainment, specialty cocktails and overflowing bubbly in a magical setting. This year's festivities will take place at The Nursery by Southwinds in Orange County where you will find yourself in awe as you walk the grounds of this majestic indoor/outdoor space, filled with beauty around every corner. Guests will be greeted with welcome party favors as they enter the stunning property. Smile for paparazzi at our red carpet before embarking on your journey through an insta-worthy backdrop to secure the perfect "Kiss 2018 Goodbye" photo. Don’t miss out on this rare opportunity to sip on premium spirits and toast to the end of 2018 as we filter in surprises throughout the night. This unique fair offers shoppers the opportunity to purchase unique artisan crafts from various local artists. Includes live entertainment, hands-on art projects and picture-perfect moments, the Sawdust Art Festival's Winter Fantasy will become your family's holiday tradition. Join in on this special celebration complete with a scrumptious pancake breakfast, photos with Santa and holiday crafts! Children must be accompanied by a paying adult. Holiday music and a special appearance from Santa Claus. Guests are asked to bring a new, unwrapped toy to be donated to Miracles for Kids. Event is complimentary. Treat someone special to the timeless tradition of Afternoon Tea in Raya Restaurant featuring an array of teas, savory canapés, and sweet bites in an elegant oceanfront setting. $75 per person. Reservations must be made 24hrs in advance. Santa Claus will make a special appearance for the Yappy Howl-iday Celebration. This festive gathering of canines and their companions provides Fido with the opportunity to be photographed with the “Big Dog” himself – Santa Claus. In keeping with the resort’s Season of Giving, guests are asked to bring unopened canned or dry dog food, treats or dog toys to be donated to an animal rescue organization. Proceeds support The Canine Companions Veterans Initiative. Parade Step off time 10 a.m. The Theme for this year's parade is 'Jingle All the Way'. The parade will include beautiful equestrian units, patriotic and inspirational military tributes, world-class athletes, spirit-filled youth groups, classic auto clubs, talented marching bands, and some of the biggest attractions in the nation! between Nueva Vista and Crown Valley Community Park. 8:30 a.m., 9:45 a.m. and 11 a.m.
A time honored classic for Christmas, this event at the Museum includes a continental breakfast of yummy treats, a colorful craft for each child, a classic photo with Santa Claus and free admission into the Museum! Reservations are required for this event. For more information please call 562-383-4240 or email the Museum. Crafts & visits with Santa: 4 - 5:30 p.m.
Ceremony: 5:30 – 8:30 p.m.
Join your friends and family for this annual holiday favorite. Every year this event brings the La Palma community together to ring in the holiday season! Enjoy the musical talents from our local schools and join in during the Community Carol Sing Along. Take a picture with Santa and his elves in the activities area before the event. This area will feature crafts, an opportunity to write a letter to Santa, and of course, the young and young-at-heart won’t want to miss an early visit from Santa Claus! Winter Wonderland at the Plaza will feature an area to play in the snow, activities, Santa’s Village, a tree lighting ceremony, refreshments, and entertainment. The event is FREE, so be sure to bundle up and bring your family and friends along to join in the fun! Canned food drive - please bring canned goods to donate for local charities. FREE to the public. The boat parade will light up the harbor for five consecutive nights. The parade starts at Collins Island at 6:30 p.m. and will last approximately three and a half hours over 250 ships participate in the parade along with hundreds of water front estates. Providing the backdrop for the parade is the Ring of Lights waterfront home and business decorating competition. FREE for spectators, entry fee for participating boats. Over million and half people view the parade each year. For those of you that would like to be in parade both Newport Landing and Davey's Locker will offer 3 general admission cruises nightly every night of the parade that are a part of the actual parade. Viewing the parade from a ship means that you see all of the parade and homes in full decor that line the waterfront. General admission tickets can be reserved over the phone. Tree lighting ceremony with a seasonal bazaar featuring handcrafted items by local residents and artists. The excitement builds when Santa arrives at 4 p.m. for family photos, followed by the tree lighting ceremony at dusk (approximately 5 p.m.), a holiday tradition that draws locals and visitors alike. Park in the Los Trancos lot (PCH inland at stoplight Los Trancos then walk across the street or take the shuttle.) Parking: $5/hr (max. $15). Bring your friends and join us for a festive day of Christmas shopping! Shop for unique, hand crafted gifts, décor and more from 25 of Southern California’s most talented vendors while enjoying Moreno’s holiday atmosphere and tasty treats! Find something for everyone on your list while supporting a great community organization, Lestonnac Free Clinic. Moreno's Restaurant will donate all proceeds from boutique to Lestonnac Free Clinic. Tree Lighting and Candlelight Procession includes holiday music. Local non-profit groups also provide delcious food and youth activities for a nominal charge. Holiday Festivities begin at 3:30 p.m. Main Musical Program & Tree Lighting Ceremony begins at 5:15 p.m.
A magnificent concert of holiday season favorites performed by the Chapman University Singers, University Choir and Women’s Choir along with music performed by The Chapman Orchestra. This workshop is a fun workshop. We will teach you how to paint with simple method. At the end of the session, participants will have 1 completed canvas to take home with them. All supplies are provided. No prior art experience is required. In fact, many times some of the best paintings are done by people who have never painted prior to the workshop. It isn't about talent; it's about the process and how much you will enjoy the painting! For kids and adults, ages: 6 years and up. Join us on Avenida Del Mar for a holiday spectacular that will include collaboration of the Downtown Business Association's Puttin' on the Glitz, Christmas at the Casa, Santa's Village by the Sea and tree lighting. Casa Romantica’s annual holiday open house features traditional and bell choirs, a visit from Santa, a talking tree, kids crafts, holiday décor, and refreshments. Christmas at the Casa is held in partnership with the City of San Clemente’s Santa’s Village by the Sea. Celebrate the magic of the holiday season with the Nutcracker ballet. This bestselling event, performed with panache by the Orange County Ballet Theater, is a must for the whole family. The Casa Nutcracker features choreography tailored to Casa Romantica’s intimate Main Salon. Originally broadcast in 1947 as part of the Archie Andrews radio show. We invite you now to join Archie and his pals Jughead, Veronica and Betty in another comic adventure from Riverdale. Performed as a live radio broadcast as a preview to our main show. Then join Charlie Brown, Snoopy, Lucy, Linus, and the rest of the Peanuts gang as they mount a play, save a tree, and uncover the true meaning of Christmas in A Charlie Brown Christmas. Charles M. Schulz’s Emmy and Peabody award-winning story has warmed the hearts of millions of fans since it first aired on television more than 50 years ago. The classic television special comes to life in a stage adaptation featuring Vince Guaraldi’s timeless score. 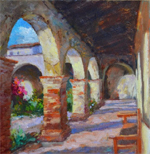 Mission Fine Art Gallery is hosting a holiday party on Thursday, November 29, from 5 to 8 p.m. Stop by and enjoy artist and jewelry demonstrations, live music, wine tasting and appetizers. Gallery artists are painting original holiday ornaments to decorate your home for the holidays. Bring a friend and try your luck at our Lucky Draw! Neighboring businesses are also staying open, and are offering special surprises to help celebrate the evening. Join us and kick off the holiday season in style! Don’t miss the annual Christmas Tree Lighting Celebration which includes dance, orchestra, mariachi and musical theater performances. Holiday activities throughout downtown following the event. Downtown shops will host “Open House” with special sales and complimentary refreshments. Visitors can see a Live Nativity Presentation at ZOOMARS, stroll along Los Rios Street as the shops shine with holiday cheer and treats, FREE photo with Santa and Mrs. Claus, a FREE Christmas Train Ride, Puppet Show, Crafts and so much more! Aprons on, scientists! You’ll head into the world of the classic holiday dessert and find out how science plays a crucial role in the kitchen. Our favorite goodies don’t come together magically though. We use heat, math, engineering and other important components in order to bake and create the confections everyone loves. Build a candy car out of holiday treats and then compete, sweet-to-sweet in the Gingerbread Derby, Santa Claus will make special appearances, and other fa, la, la activities are on the schedule. Enjoy Winter Solstice medieval style at Kidseum! Be merry and partake in traditional Yule festivities including music and games! Fun New Year’s themed craft projects. In the Art Studio, kids will create hand-made reusable confetti poppers and colorful noisemakers that they can use at home during the real countdown. The kiddos will practice countdowns every hour on the hour, beginning at noon, to be ready for the New Year’s countdown. Kids can practice making as much noise as possible with their hand-crafted noise makers and practice shooting their confetti! In the Glow Cave, we will make glowing wish wands that will even glow in the dark when you take them home! At 1:30pm, after our practice countdown and blasting of colorful confetti, there will be a balloon drop in the center of Kidseum! The Annual Seal Beach Christmas Parade Ushers in the Holidays each year with bands, floats, lots of kids and of course Santa. This ‘continuous motion’ parade highlights youth groups, sports groups, schools, businesses, first responders and other organizations from Seal Beach and the surrounding areas. More than 17,000 are expected on Main Street to celebrate the holidays in a hometown ‘Mayberry by the Sea’ parade. Join your family and friends for this wonderful Christmas event! The event will feature musical performances by the Rancho Alamitos High School Choir, Tree Lighting Ceremony, visits with Santa, rides on the “Polar Express”, refreshments, storybook reading, arts and crafts, displays and non-profit food booths. This year, the City will celebrate holidays around the world and showcase timeless traditions observed by members of the global community. Santa Claus is making a pit-stop to The Marconi on December 2nd! Get a family photo with jolly St. Nick and their red Ferrari, or simply tour the museum with a cup of hot cocoa and brownie. Purchase general admission tickets today, admission price goes up on the day of the event. General admission is $5 per person, children under 12 get in for free. The City of Tustin Parks and Recreation Department invites you to join in the holiday fun as they celebrate their Annual Holiday Tree Lighting ceremony. Performances by Tustin Family and Youth Center Kids Corner Preschool, Tustin Dance Center, HBP Dance Extreme, Academy of Dance, CT Middle School Choir and Compass Bible Church. Event will also feature: Letters to Santa, a Craft Area, Booths, Pictures w/Santa and Tree Lighting. Be a part of this great event and celebration as parade participant, viewer, or vendor. The Villa Park asphalt harbor will be filled with "Yachts and Yachts of Holiday Fun" as the annual procession of wheeled vessels sets sail for the VP Towne Centre celebration with many happy campers waving to them from neighborhood shorelines. Great food, and fun and/or funky vendors, plus musical entertainment await everyone in the Centre, as do special trophies for many unique crafts. Why knot seize the opportunity to decorate and enter your truck, trailer, ski boat, homemade submarine or jazzy yacht full of friends or kids in this wacky entourage. The audience is invited to sing along with the Master Chorus and Orchestra in the favorite Messiah choruses. Singers may bring their own music scores or borrow one (limited number). Baroque 18th century costumes are encouraged. Seating is on a first-come basis, and admission is free. Donations are accepted (suggested donation $5). In the spirit of White House Christmas traditions past and present, the Richard Nixon Presidential Library and Museum is opening its doors after hours for special Candlelight Evenings this holiday season. New this year! Explore the special holiday display, All-Aboard America! featuring three spectacular layouts of model trains whistling over bridges, through snow-capped mountains and stopping in miniature towns and cities. There will also be live entertainment, decorate cookies, crafts, Santa photos and more.